In his book “Operating in the Courts of Heaven” Robert Henderson creates a clear picture about how the different judicial processes operate in Heaven. These processes are being influenced by us on earth and also determine what will happen here on earth. The bible speaks of judicial verdicts from heaven and about those who can let their voices be heard in the heavenly courtroom. Robert teaches from his own personal experience about which roll we play, in order for God to fulfill his Fatherly passion and answer our prayers. Many prayers are not being answered because we operate from the wrong position. Many who pray, battle against the enemy, without having permission or authority from Heaven to do so. Time and time again Robert emphasizes that we do not fight our battle on the battlefield but in the heavenly courtroom. When we have a judicial verdict from the Courtroom of Heaven we will be able to silence the accuser. In doing so, we give God the right to fulfill His Fatherly passion here on earth. In the first chapters of the book a foundation is being laid which show how the heavenly courtroom operates. Combined with a lot of Biblical references Robert is explaining that we all have a destiny and this destiny is written in a scroll. In Heaven, however there is a legal battle about the fulfillment of these scrolls. The “accuser of the brethren” satan, accuses us day and night as to why God cannot give us that what He has promised. Satan uses our sins and the sins of our forefathers against us, because they are in conflict with God’s order. God is a righteous God and he cannot infringe his own commandments. By doing so He would bring down His own throne, because justice and judgment are the foundations of His throne. According to the bible a case is settled by two or more witnesses. Because of this a sentence can only be passed in the heavenly courtroom based on the testimonies given. 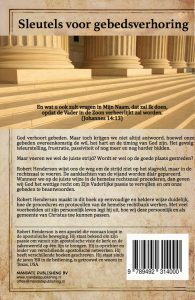 In the remaining chapters Robert explains which parties have the right to speak in the heavenly courtroom and which can give their testimony. He also explains the responsibility we have individually and collectively from earth and the part we should and must play towards Heaven. Without our input and voice, Heaven cannot hand down a verdict or a call for judgment. The essence of this book is for us to understand that we first need to have our victory in the courtroom so that we can be victorious in the battle. Once we have shifted our perspective and see the heavenly courtroom as the primary battlefield we are ready to plead our case before God. This book has the possibility to change the effectiveness of your prayer life tremendously. If you feel disappointed or frustrated because your prayers are not answered, or when you want real and lasting results then this book is for you. It shows us in a clear way how to plead our case before God and which steps we need to take to accomplish this. We can stand in the gap and be victorious for ourselves, our family, our cities, regions and nations. 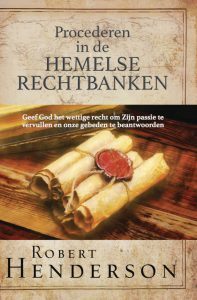 During the conference in August the Dutch translation of “Operating in the Courts of Heaven” will be available. The price of will be € 19.90. 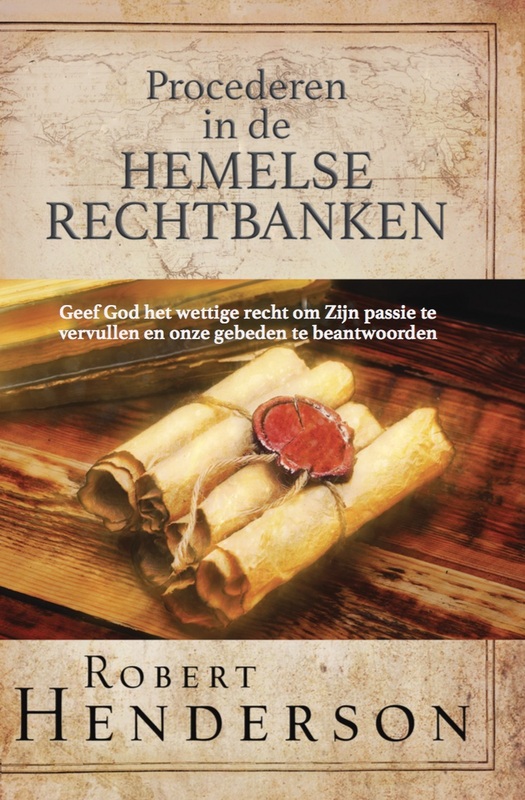 You can fill in the following form to pre-order your copy of the Dutch translation.